TorqueNews Exclusive: Insider Says 2015 Ford Mustang Renderings "Aren't Far Off"
We have been speculating for months now what the 2015 Ford Mustang might look like when it is introduced with spy shots and renderings adding to that fire and while others downplay those images – TorqueNews has spoken with a member of the Mustang development team that offered up some information on the next generation pony car. 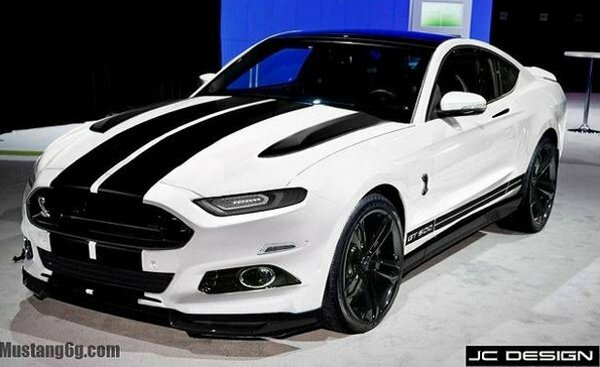 While our insider was candid with details of the 2015 Ford Mustang, he did explain that he had obviously seen the car and that the majority of the renderings showing the S550 Mustang “aren’t far off” from the look of the real thing. Some skeptics who dislike the Evos language that is expected to grace the front end of the new Mustang have questioned whether the Mustang spy shots showing the next generation pony car with the Fusion-like front end is an actual test mule bearing the look of the real car. They believe that Ford has gone to the trouble to mock of a false front end so throw us off in our discussions and since most renderings are completed with the look of those spy shots – those would also not be accurate depictions of the 2015 Mustang. However, our insider indicates that those spy shots and renderings are on the right track so those Evos styling language haters out there should run out and buy a 2014 Mustang with the current design as the next generation might not be your cup of tea. In addition to confirming that the 2015 Ford Mustang will indeed look like the spy shots and renderings that we have all been ogling for the past few months, our insider explained that the next generation Mustang will pack more high tech goodies and be safer than any other Mustang offered. It seems fitting that the safest and most technologically advanced Mustang would come as part of a celebration of the pony car’s 50th birthday. Our insider wouldn’t go into any detail as to what kinds of technology would adorn the 2015 Mustang but we based on the available of techie features on other current Ford products, we would expect things like a state of the art infotainment and navigation system, some type of configurable gauge cluster and all sorts of safety features like blind spot detection, lane departure, backup sensors and more. Of course, that technology in the 2015 Ford Mustang could also come in the way of chassis and suspension technology. We know that the next generation Mustang will have independent rear suspension and a chassis that makes heavy use of high strength steel and aluminum could make the 2015 Mustang lighter (which would make it better performing and more efficient) but also stronger and safer. Needless to say, TorqueNews will continue to cover every bit of new information on the 2015 Ford Mustang as we eagerly await the debut of the next generation of the fabled American performance car.